Link back to Bookshelf Fantasies and link-up with the linky provided. Make sure to visit the other quotable bloggers and snitch their books. Go read. You need at least one new book for next week's feature. Okay, let's just make it three. Three quotes from three different books I have read or are still reading during the past week. "If you only believe what you see, why do you need school?" 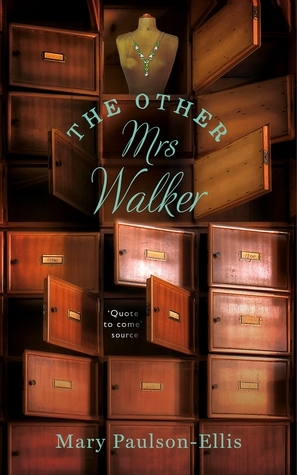 I am just about finished with The other Mrs Walker by Mary Paulson-Ellis. I'll have to ponder on this one before I can write a review. "Don't smile. Don't mention the deceased. Don't talk about anything other than the weather." Funerals, Margaret had realized then, were just like being a child again. 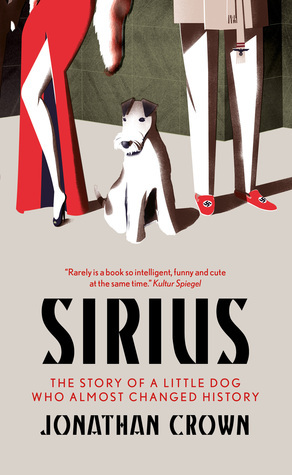 My last quote for today comes from the delightful story of Levi, re-named Sirius after the rise of Nazism in Berlin 1938. We all know how much dogs love trees. As the only survivor of the third Reich, the very clever Sirius, is no exception. Just like most other dogs, he has this one special tree that he visits every day. He can spend hours with his tree and the only way to drag him away from his beloved tree, is by distracting him with something else. Something more enticing. Like chocolate. The tree will still be there tomorrow. Chocolate perhaps not. Transitory things should always take precedence. There you have it. Not one, not two, not three - but YES four quotes for today! What are your favorite quote of the week? Do you have any other nice quotes with dogs? I love talking to you - I always Thalk back! The Olympic Book Tag - Finally! "Perfection is nothing more than a phantom shadow we're all chasing"
My first Jo Nesbø, definitely won't be the last. Great plot. Share book reviews and ratings with Mareli, and even join a book club on Goodreads. Mareli has read 0 books toward their goal of 55 books. Mareli has read 1 book toward their goal of 37 books. Mareli has read 55 books toward their goal of 58 books. "Haul-y Moly, That's a Lot of Books" Book Haul ft. birthday library reservations came in!